According to figures from the Israel Prison Service (IPS), on 30 June 2018 Israel was holding some 5,300 Palestinian residents of the West Bank as security detainees or prisoners in incarceration facilities. With the exception of Ofer Prison, all the facilities used to hold Palestinians are located inside Israel. Residents of the West Bank who wish to visit their loved ones have to overcome bureaucratic hurdles in order to secure permission from the relevant authorities – the Civil Administration, the IPS and the Israel Security Agency (ISA). After permission is received, the visits themselves entail a long day of traveling due to countless inspections and protracted delays. Click here to read about the restrictions Israel imposes on prison visits by relatives from the Gaza Strip. First, the residents must apply for a permit to enter Israel through the office of the International Committee of the Red Cross, which has been responsible for coordinating between the visitors, the Civil Administration and the IPS since 1969. The Civil Administration issues permits to enter Israel for a prison visitation, provided that the visitors are first-degree relatives – fathers, mothers, grandparents, spouses, children or siblings. The permits are usually valid for a year. 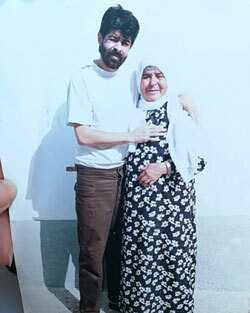 Other relatives are only permitted to visit prisoners in exceptional cases, when the Israeli authorities acknowledge “humanitarian grounds” for the visit. However, the Civil Administration limits first-degree relatives, too. If the ISA classifies an applicant as denied entry to Israel “on security grounds”, he or she can only receive a “prison visitation permit for denied persons” – a special permit usually valid for 45 days and for a single visit – or none at all. In addition, all men between the ages of 16 and 35 are automatically denied an annual visit permit. Some are given a special single-visit permit. In practice, even relatives who receive an annual permit are not allowed to visit on a regular basis: The IPS allows the families of Palestinian prisoners (security and criminal alike) in Israel only one visit a month. 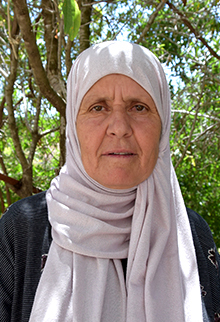 Although regulations state that criminal prisoners are entitled to meet relatives under less stringent conditions than security prisoners, Palestinian visitors from the West Bank (excluding East Jerusalem) are only permitted to come with transportation organized by the Red Cross on prescheduled dates, and all visits are held under the strict conditions that apply to security prisoners. The journey takes an entire day. All visitors, regardless of their age or health, must come to arranged meeting points early in the morning. They are then taken in buses hired by the Red Cross to the final checkpoint before entering Israel, where they undergo a security inspection that entails lengthy delay, as Palestinian workers employed in Israel or in settlements in the “seam zone” also cross at those hours. The visitors then board new buses with Israeli license plates, also hired by the Red Cross. From the moment the buses leave the checkpoint, the security forces forbid opening the doors until arrival at the incarceration facility, even though the journey may take several hours. At the facility, the visitors undergo another security inspection, including a body search. After undergoing all this ordeal, the relatives get to see their loved ones behind a transparent partition and talk to them through a telephone receiver for 45 minutes. Prisoners are allowed to request a private meeting without a partition, but the prison authorities very rarely approve such requests. With one exception, all the prisons in which Israel holds Palestinians are located within its sovereign territory and not in the Occupied Territories. Holding residents of the Occupied Territories within Israel violates international humanitarian law, which prohibits the transfer of civilians – including detainees and prisoners – from the occupied area to the territory of occupying power. This ongoing breach of the law gravely violates the rights of Palestinians from the Occupied Territories to visit their relatives in prison with adequate frequency and under reasonable conditions. In many cases they are denied the right to visit them altogether. The hardship entailed in visiting relatives imprisoned in Israel are just one example of the exhausting routine of occupation that Palestinians face daily. My son Ahmad was arrested on 18 March 2002 and sentenced to 28 years in jail. He was released in 2011 as part of the Shalit deal but three years later, in 2014, he was arrested again. They didn’t retry him and he’s serving the remainder of his original sentence. They decided that I’m denied entry to Israel for security reasons, so I can’t get an annual permit to visit him in prison. I can only get special permits for a single visit. Every time I want to visit him, I have to apply for a permit. I don’t know what danger an 80-year-old man can present to Israel. My wife ‘Aziza had kidney failure and passed away nine months ago, at the age of 72. A few months before she passed away, I went to the checkpoint with her, but they wouldn’t let her through. They said it was for security reasons. 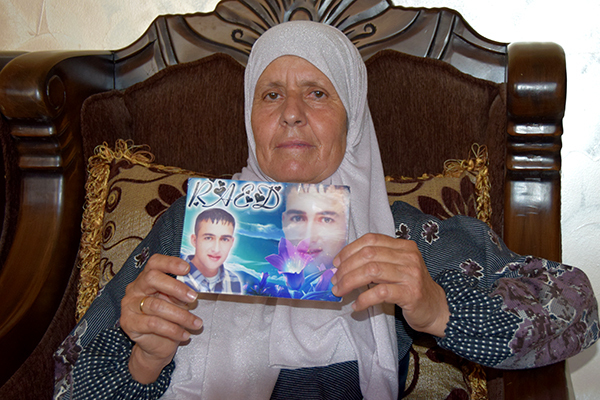 She couldn’t see Ahmad for the last eight months of her life. She submitted several applications to visit him and attached medical documents, but they wouldn’t let her visit him at the end of her life. I leave home before the morning prayers and say my prayers in Nablus so I don’t miss the Red Cross bus, which leaves from the central bus station in the city. Then we travel to the Irtah (Sha’ar Ephraim) checkpoint. It takes ages to cross the checkpoint, because we get there at the same time as the laborers who work in Israel. It can take two hours from the time we arrive at the checkpoint and until we leave. We have to stand the whole time because there are no benches or chairs at the checkpoint. I’m 80 years old and it’s hard for me. After we finish at the checkpoint, we get on other buses on the Israeli side – also organized by the Red Cross. The journey from there to Ramon Prison in the Negev takes about three hours. My son was in other prisons in the past, but for the last three years he’s been there. When we get to the prison, the real suffering begins. First we hand over our identity cards, permits and the name of the prisoner. Then we give them the cigarettes and clothes we brought for our sons. We stand most of the time because there aren’t enough benches for everyone, and it takes about two hours. I don’t see why it has to take so long – I feel that they’re deliberately trying to exhaust us. Then comes the body search. They touch me with their hands, including between my legs, and ask me to lift up my clothes. It’s really humiliating. Then they check me with a magnetic instrument. Despite all the checks at the checkpoint, and even though it’s forbidden to open the door of the bus until we arrive, we still have to undergo another inspection at the prison. What we go through during the visit is torture and an affront to human dignity. I’m an elderly man. It’s humiliation. My wife died while Ahmad was still in prison. I’m scared that I’ll die, too, before he gets out. When I visit, I see him through a glass pane. I can’t hear him very well because my hearing is weaker these days. You can’t hear properly through the receivers there and the room is very noisy. When the allotted time for the visit comes to an end, they immediately hang up and you can’t hear anything. Nothing is more precious than a son. I won’t stop visiting him as long as I live, despite all the difficulties. 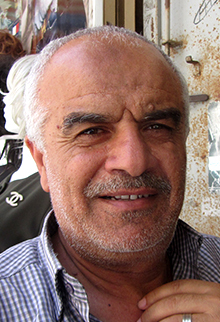 My brother, Sami Subuh, was arrested on 1 August 2003, at the height of the second intifada. He was sentenced to 28 years in jail. Since 2016 he’s been at Megiddo Prison. 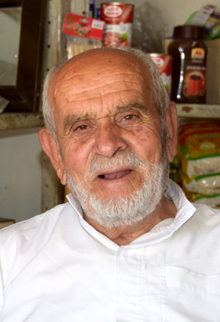 Two years after Sami was imprisoned, they agreed to give my father, who is 85 now, a “special permit”. The special permits are limited to just one visit. My father would make the whole journey by himself, even though he was already an old man, to see Sami for just 45 minutes. In 2007, my four sisters also managed to get “special permits” to visit Sami. The first time I managed to get a “special permit” was in 2011, eight years after he was arrested. I last visited him on 12 June 2018. It was a regular visit. I got up at 5:00 A.M. to get ready. The families of prisoners come to the central bus station in Tulkarm and then everyone travels together in Red Cross buses. The buses leave for the Irtah (Sha’ar Ephraim) checkpoint at 6:30 A.M., and that’s when the process of suffering and humiliation begins. Usually, four or five buses go together. When we get to the checkpoint, there’s a long line by the revolving entrance gate. The first stage is an inspection with a metal detector. Then some of the people are selected for another inspection with a scanner, and others also undergo a manual inspection. The last time I visited my brother, when my turn came, the guy from the private security company that operates the checkpoint checked my permit and I.D. card and told me to stand aside and wait. That happens to most of the visitors who have a “special permit with security denial”. He started phoning all sorts of people. I sat there for an hour and a half, and no one asked me anything. In the meantime, everyone was waiting for me on the other side. Eventually, they let me through. Two buses with Israeli license plates, also from the Red Cross, were waiting on the other side. Once the bus doors close, they must not be opened until we reach the prison. The buses left at about 9:00 A.M. and the trip took about an hour. When we got to Megiddo Prison, they let us out into a fenced yard with soldiers and cameras. The yard is partly covered, but there wasn’t enough room in the shade and there weren’t enough benches for us all, so most of the visitors stood in the sun. There were about 250 of us. They divided us into three groups. Each group went in separately. When my turn came, I went through a metal detector and handed over my things. Then they separated the men and women and checked our whole bodies with metal detectors. After the inspection they took us into a waiting room made of tin, which was very hot. We waited there for over an hour. Everyone who came in started to sweat and complain. But like I said, that’s just the way it goes on a regular visit. We went through all that just to enter the visiting hall. On either side of the entrance there were police dogs barking behind iron grids. The prisoners sat behind glass partitions. Each one of us looked for the prisoner we’d come to see, and then sat in front of them and began to talk through a receiver while they sat behind the thick glass pane. The visit lasted 45 minutes. On our way out, they gave us back our permits and I.D. cards. Then we went back to the buses, which were waiting in the prison car park. The whole visit usually takes about eight hours. I get home tired and exhausted. Over the years I’ve seen some tough on these visits. I’ve seen mothers who went through the whole process only to be told when on arrival that they couldn’t see their kids because they’d been taken to court or to hospital. A few times, the Red Cross told us the day before a visit that we couldn’t see Sami. My son Jawad was arrested on 23 October 2003 and sentenced to 30 years in prison. He’s 43 now. I try to visit him as often as I can. They’ve moved him from one prison to another several times. For the past four years he’s been at Gilboa Prison. I never miss a visit, no matter what, even though I’m 77 and have diabetes. He’s part of my soul. I leave home at about 5:00 A.M. to get on the Red Cross bus that takes us to the Irtah (Sha’ar Ephraim) checkpoint. Then they take us to the prison on buses with Israeli license plates hired by the Red Cross. It takes us about two hours to get through the checkpoint. There are lots of inspections there. Sometimes they hold back one of the visitors and that delays us all – we don’t leave until they’ve checked everyone. Two years ago, they sent me back from the checkpoint after I’d been through all the inspections, except for the last stage when we have to show them our permit and I.D. card. At that point they told me I was denied entry for security reasons. I asked why but they didn’t give me any explanation. They just told me to go home. I get permits for prisoner visits that are valid for one year. That time, I had to wait four months for the previous permit to expire so I could apply for a new permit and wait to see whether there was still “security denial”. That’s what I did, and luckily I got a new permit and managed to visit my son again. That wasn’t the first time it happened. Three years ago they also told me there was “security denial”. That time I couldn’t visit my son for two whole years. It was really hard for both of us. His brothers managed to visit him during that period, but they only get “special permits”, which means they can only visit him once and then they have to apply for another permit to see him again. We insist on visiting him despite all the difficulties. When we get to the prison, we go through a long and humiliating procedure before they let us in. They check us with instruments and by hand. The woman soldier inspects my whole body manually, including my intimate parts. She touches my chest, hair, sleeves and pockets, and runs a metal detector over all my body, including between my legs. A lot of women, especially the young ones, are inspected naked in a special room. Because I’m old, I don’t have to go through that. Once I saw one of the prisoners’ wives refuse to be inspected naked. They wouldn’t let her through and she waited outside. The visit lasts 45 minutes. We talk through a telephone – there’s a thick pane of glass separating you from the prisoner. The visiting room is very noisy and you can’t hear well over the phone, so everyone shouts and there’s a real commotion. After my son applied to the prison management again and again for a private visit, they allowed us to visit him without the partition. It happened just once, 10 years ago. My daughter came with me. We were very excited to be able to shake his hand, give him a hug and smell him. My daughter hugged him and didn’t let go for several minutes. I’m old now, almost 80, and I hope they’ll let me have another private visit. My husband passed away eight years ago. For the last two years of his life, he was ill and couldn’t move or speak. He had to write on paper to communicate. He used to write all the time that he wanted to see his son, but they rejected all his requests. He died without his wish coming true. My husband, Musa Handi (70), and I have eight children. Our son Raed (39) was arrested in 2004. He’s been moved from one prison to another, and for the past five years has been at Ketziot. During Raed’s first two years in prison we couldn’t visit him because of “security denial”. That was a really tough time. No one in the family was allowed to see him. Then I started to get a blue permit – a special permit that’s only good for one visit. I visited him for five years using these permits – one visit every six months, then I had to renew the permit. After five years – seven years since he was arrested – I started getting a regular annual permit that allows me to visit him once a month. I haven’t visited Raed since the end of 2017. It’s very hard at my age, and he’s due to be released in a few months. I suffer from diabetes and high blood pressure. He also told me that he’d prefer me not to visit him too often. He knows that the visits are hard for me and he worries about me. When I used to visit him, I’d leave home at about 4:00 A.M. and get back late at night. The day of the visit is very tough, especially for someone like me who was diabetes and needs to go the bathroom regularly. It takes us two hours to cross the Irtah (Sha’ar Ephraim) checkpoint. There are no benches there, so we have to stand all the time. Then, on the buses that take us to the prison, we aren’t allowed to stop at any point, even if people need to use the bathroom. When we get to prison, they search us and we have to wait for ages. There’s a yard with benches, but there isn’t much shade and there aren’t enough benches for everyone. The visitors’ toilets at the prison are disgusting and there aren’t enough of them – just two cubicles, one for women and one for men. As soon as we arrive, a long line forms for the bathrooms. After waiting, they search our bodies using a metal detector and by hand. They pat us down all over our bodies. After that we have to wait again for a long time, until they finish checking everyone. Sometimes there are unexpected delays and collective punishment. Once, a couple of years ago, one of the prisoners hit a guard, so they made us all wait outside the prison for two hours after we arrived. Another time, they kept us waiting at the checkpoint for two hours because they said one of the visitors had tried to bring in a SIM card for a mobile phone. They punished us all – four full buses – and made us wait two hours. Then a Red Cross representative spoke to them and they let us through. After the visit I get home totally exhausted. I thank God that my son is due to be released in a few months and I won’t have to go through this difficult and exhausting experience. God help all those people who have relatives in prison and have to visit them.